Hiding In Plain Sight opening line: She’d dreamt about nothing else for years. What made 14 year old Penny take her own life? Andee Lawrence believes her sister is dead. But nearly 30 years on she learns this never happened. Now her sister is back and Maureen, Penny’s mother wishes she actually was dead as her daughter is a cruel and unfeeling woman. Her words led to their father’s slow death. Will Andee ever forgive her? Andee Lawrence is in heaven. Well, the South of France to be exact. Ex-detective Andee has swapped freelance investigation and a broken marriage, for two months in Provence, renovating a beautiful villa with the new man in her life. Pottering around a small picturesque town on an early summer’s day, she is at peace. Two words spoken by a woman from the back of a car that say so much yet reveal so little. As the car drives away Andee is left reeling, overwhelmed by shock, confusion, self-doubt and mounting trepidation. There is a world of horror out there and I don’t think we can ever imagine how awful life can be. This novel spells some of them out and gives you hope that somewhere out there, people are doing all they can to help prevent them. A great read with a surprise ending. 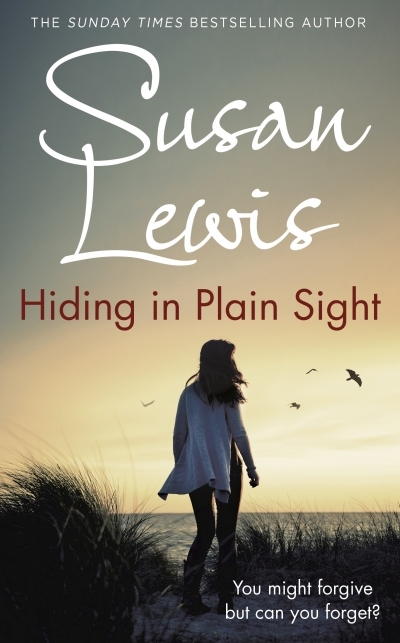 This is the third Susan Lewis book I have read. You can read my review of The Girl Who Came Back and You Said Forever by clicking on the titles. Sounds like a real page turner, great review Tandy. A great review, Tandy. Gosh, this sounds really creepy. I am going to get it for my Aunt from Christmas. It was such a good read!